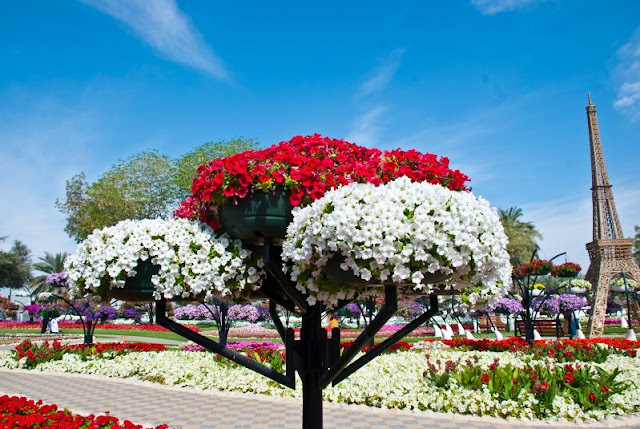 Al Ain: The Oasis city has once again set a new world record by displaying hanging baskets with millions of flowers, in the shape of a huge pyramid. 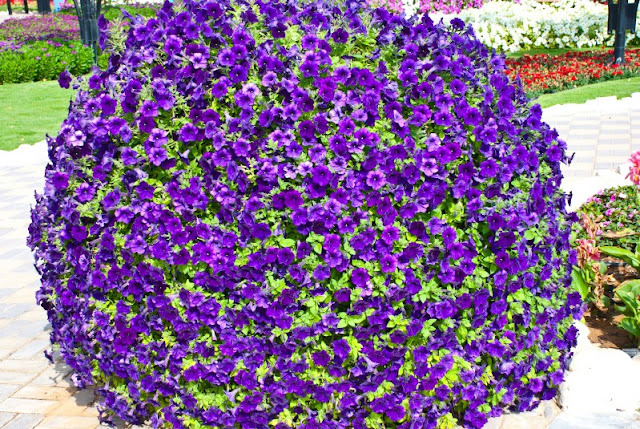 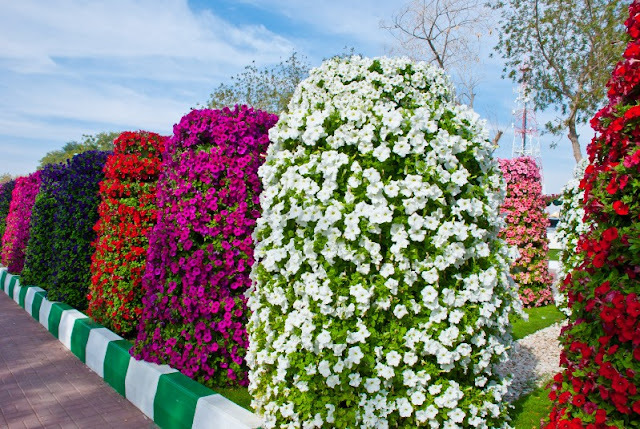 Al Ain Paradise, as it is known, has found its way in the Guinness Book of World Records — which has recognised it as the world's largest garden — for the second time. 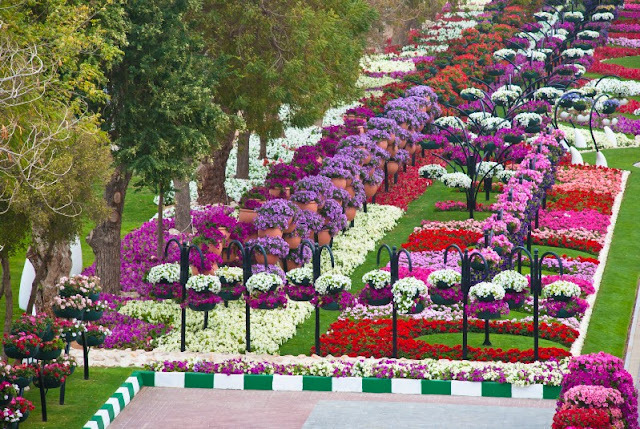 Many visitors said it was a unique experience to see millions of flowers in different colours, types, and settings — in a city known for its desert dunes and an arid environment. The garden was originally created in March last year, making an entry in the Guinness Book of World Records for having 2,500 baskets full of colourful flowers arranged in a fabulous manner. Some unruly visitors, however — in just a few months — destroyed the garden and stole plants from it too. 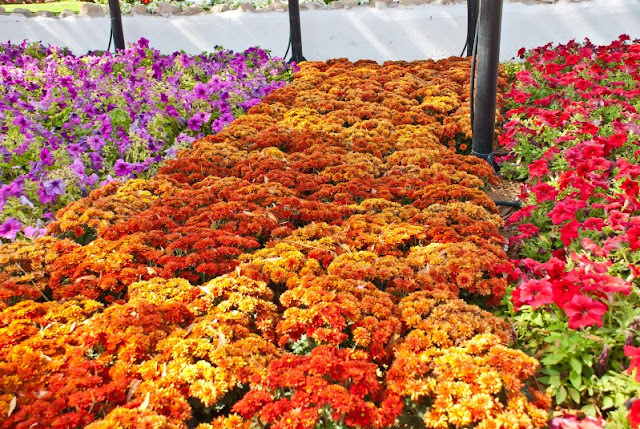 This resulted in a huge loss for the 7,000 square feet orchard, located in the Zakhir district. 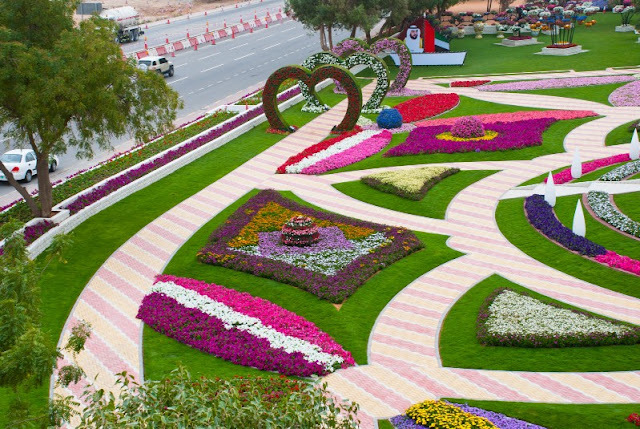 Akar Landscaping, its creators, were eventually forced to shut the garden down for repair work. 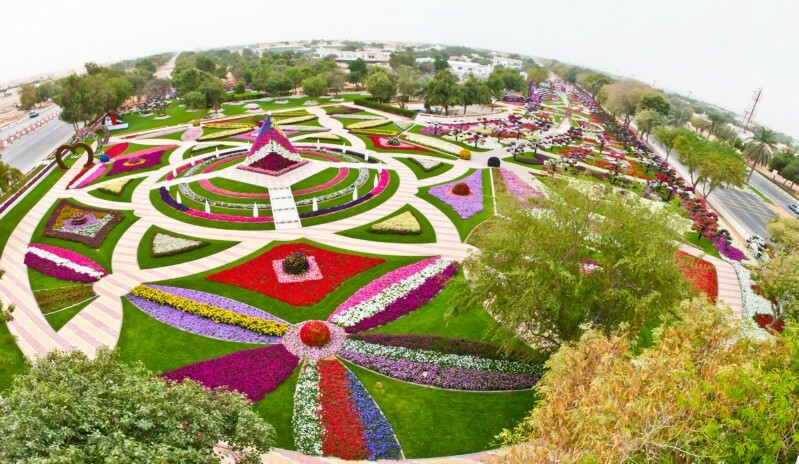 The garden now occupies an area of 21,000 square metres — including the corridors and walkways of the internal length of 2,400 metres approximately — more than double its earlier size. 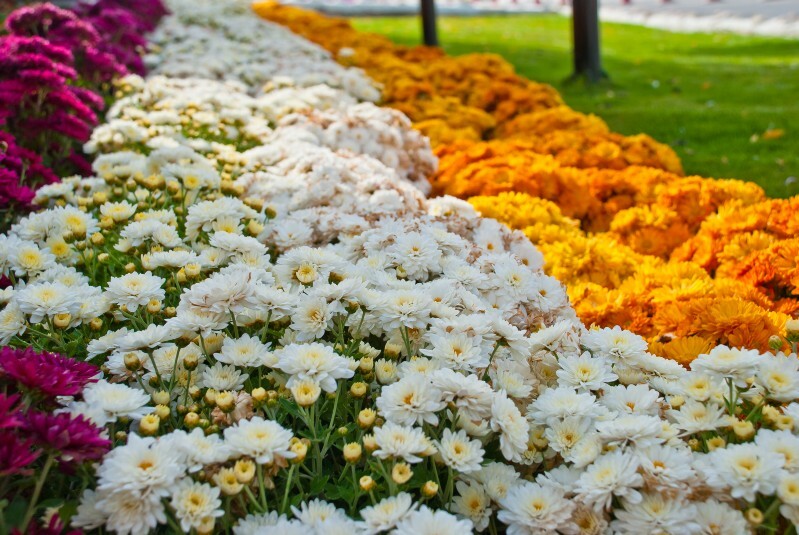 It now has 2,965 flower baskets, instead of the previous 2,500 baskets, in addition to the flower pyramids. A theatre and a meeting area have also been added to the park. 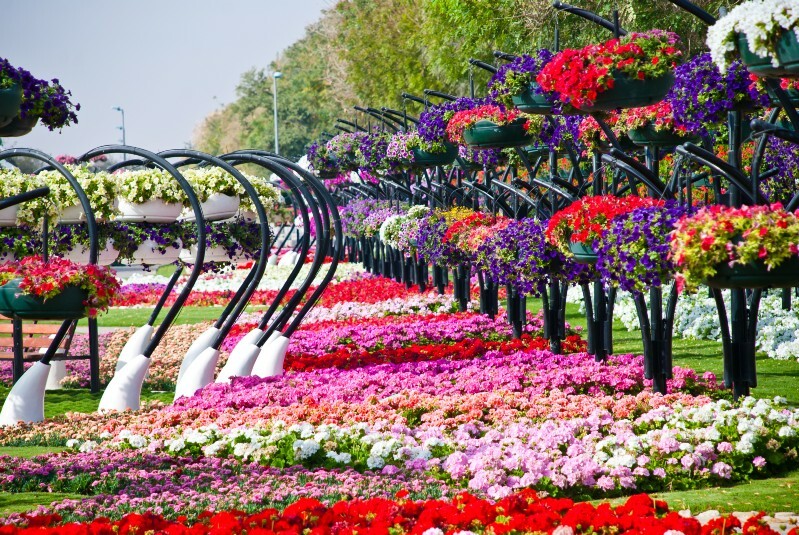 A miniature Eiffel Tower, with a height of 12 metres and equipped with sophisticated lighting, has been erected to add more aesthetic value to the park. 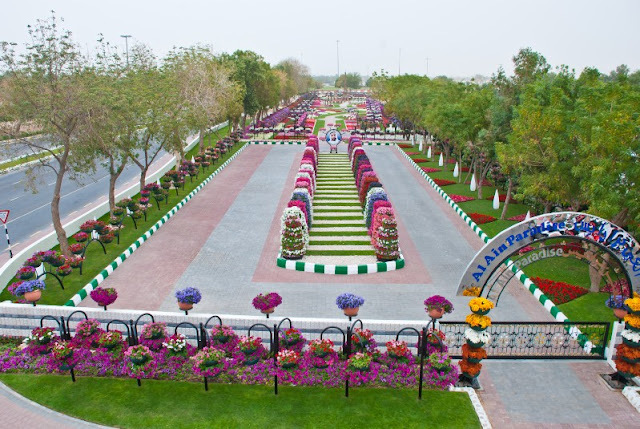 Al Ain Paradise also contains a 95 metre-long water stream. It has been designed in the form of a natural rock dam where the water flows through in a circular course. 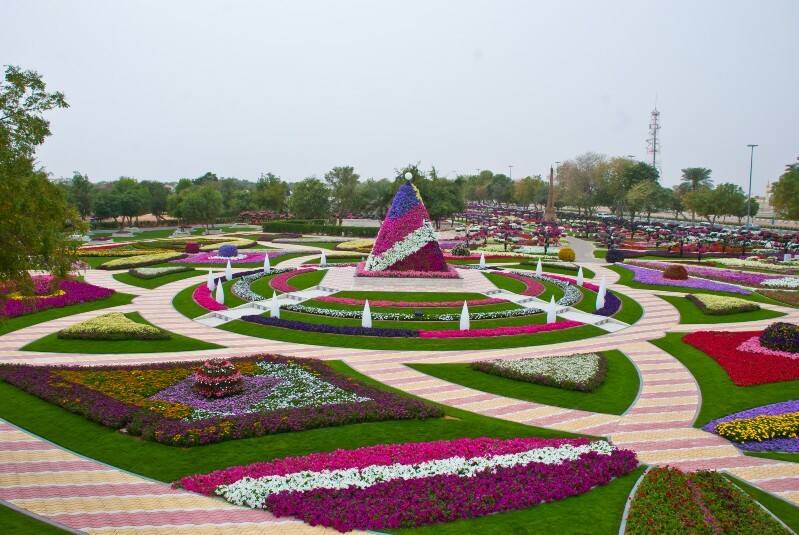 Some 300 engineers, technicians and workers took part in the rebuilding of the park. 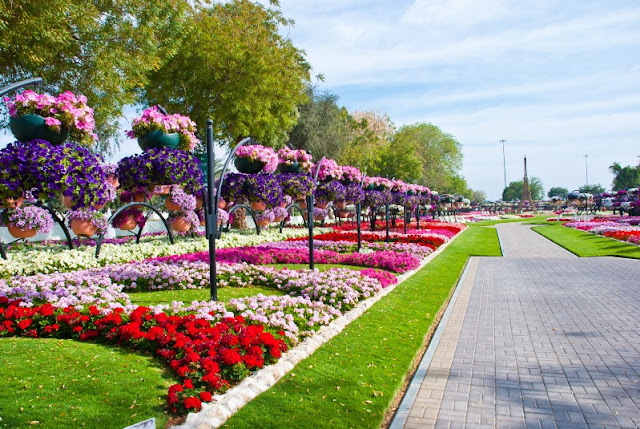 "We have now made security arrangements to prevent any destruction to the garden," said Abdul Nasser Rahhal, General Manager of Akar Landscaping. 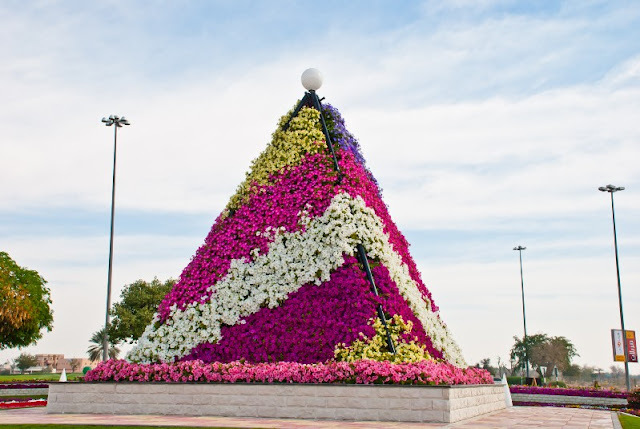 He said vertical landscaping technologies have been used to create the flower pyramid that has a variety of flowers from America, Europe, Japan, Germany and Italy. Akar added that brochures — detailing the various types of flowers — have been published to educate people on the dos and don'ts when visiting the park. 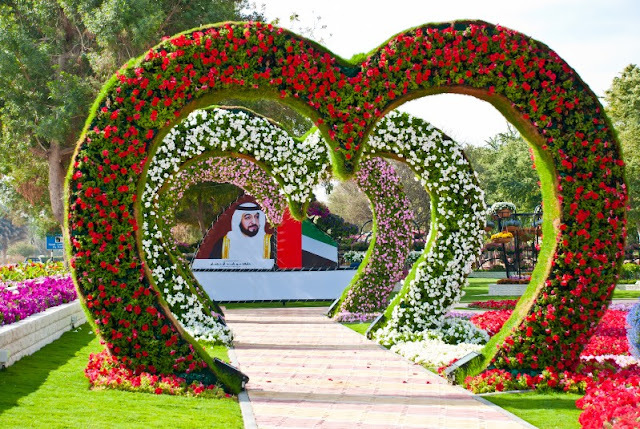 Shaikh Tahnoun Bin Mohammad Al Nahyan, the Ruler's Representative in the Eastern Region, inaugurated the garden in a ceremony that was attended by members of the Royal Family, Shaikhs, and a number of other government dignitaries. 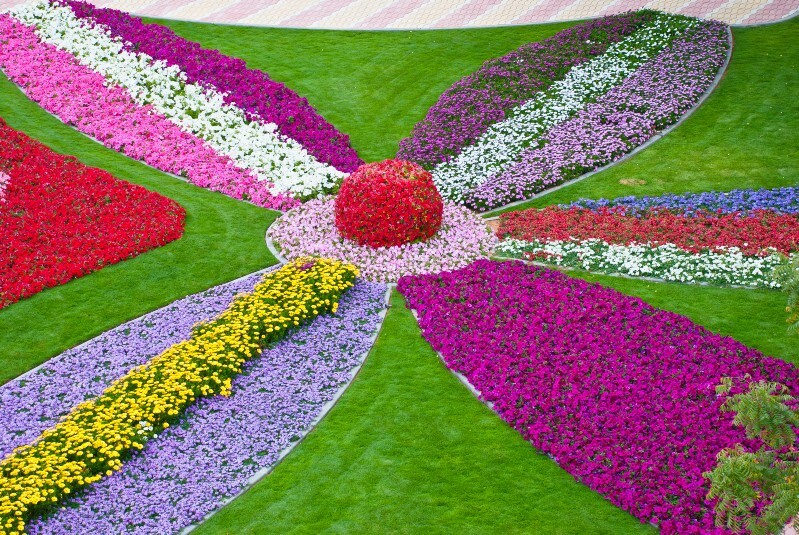 Jack Brockbank, Official Adjudicator of the Guinness Book of World Records, said he was amazed to such the garden. "Some 1,500 pots have been used in the making of flower pyramid… it's incredible," he said. 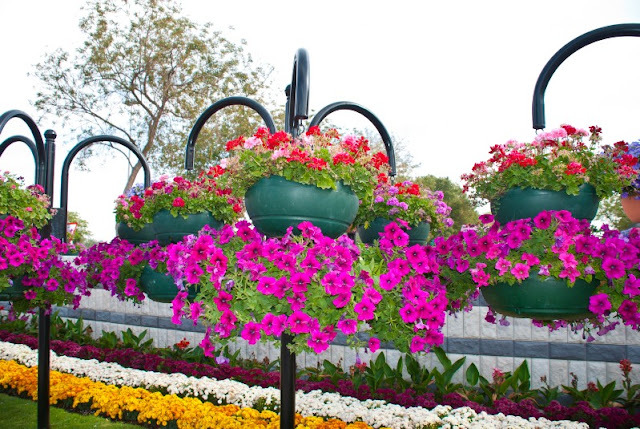 He said it was the world's largest garden with hanging baskets and people should visit it for an incredible experience. 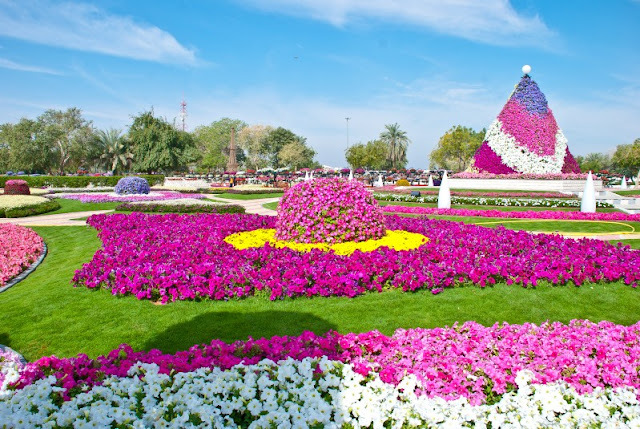 He also presented Shaikh Tahnoun with a certificate of recognition from the Guinness Book of World Records. Al Ain, which is known as the oasis city of the UAE, has twice won the second position in the Nations in Bloom contest — an international competition that selects leading cities from around the globe for good landscape management and environmental practices.